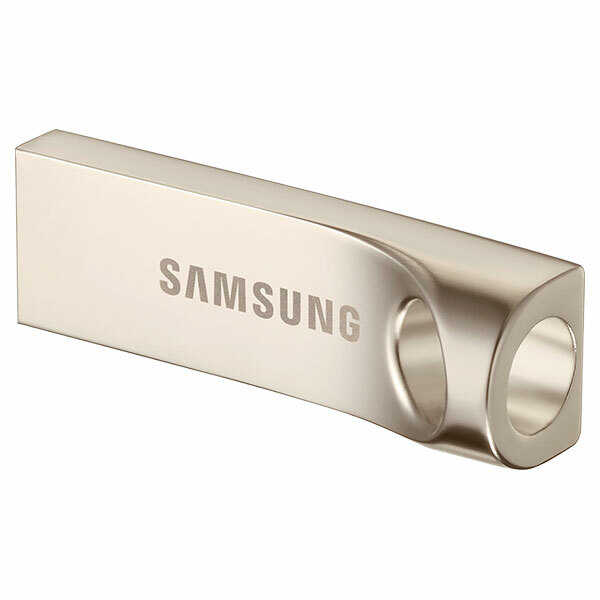 Slow Boxing Day deals this year as usual, but I did pick up a solid and cool looking Samsung USB drive (64GB) for just $20, which is marked down from $80. It's physically quite small and has a metallic-based design and has key ring hole if you want to carry it around with you. It also has a 5-year warranty, and 5-proof technology (meaning it's water proof, shock proof, temp proof, magnetic proof, and X-Ray proof...who knew we needed all that protection!). Last but not least, speed is also an important feature to have and it says that it can theoretically transfer up to 130MB/s. I haven't seen it go that high (just a spike hitting 70MB/s when writing to it) but it seems fast enough for my needs. Attached the official Samsung photo and my photos of it in real life, along and a size comparison with a nickel.